I recently acquired some Infinity RS5b speakers in nearly perfect condition. However, the foam surrounds on the woofers would crumble if you so much as looked at the speakers, but that’s a fix I can handle, and this seemed like a project worthy of my time. 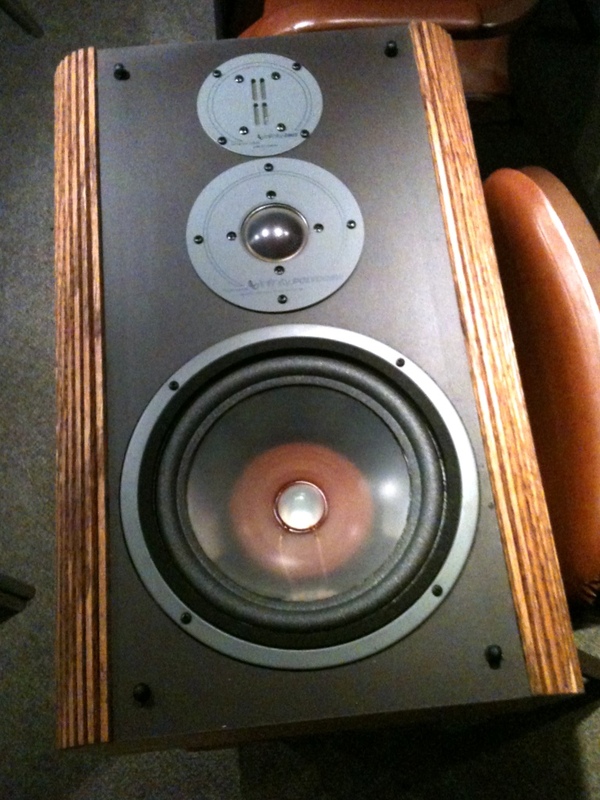 Sure enough, new surrounds were easily found online and with only a few hours of work, the speakers were restored to new. In my excitement to get these things in listenable condition, I forgot to take “before” pictures, so you’ll just have just take my word for it. At the heart of the audio system is a Midas Verona 400. Not a top end Midas by any means, but damn, it’s still a great sounding console with plenty of usable features. We’re lacking in outboard gear, with only a T.C. Electronics effects unit and a handfull of Ashley equalizers in the racks. [Edit: Compression is coming soon!] This rig only gets used for the smaller, local shows. Obviously the touring acts require consoles of another pedigree. Since the Warren Haynes show I mentioned last, we had an acoustic evening with Lyle Lovett and John Hiatt. Lovett’s voice really blew me away. A truly great show. They brought in some sweet purple road cases housing Midas XL4 consoles on 16 channel frames. For some local events, there have been some notable artists on stage, too. Steve Ewing, formerly of The Urge, played an acoustic set at the premiere of 180, a local film in which Ewing had a great cameo as a soft-spoken drummer. The Lonely Wild, an LA based band with a guitar player calling SGF home, rocked the theatre while on their summer tour, and shared the stage with local act Bella Donna. Those cats were a real laid-back treat with smooth stand-up bass, female lead vocals and a mixture of both clean electric guitar and dirty acoustic, reminiscent of Cake. Another night we hosted a class reunion that featured the James River Band with special guest Randle Chowning, founding member of the Ozark Mountain Daredevils. Yesterday I drove up to St. Louis to rent some consoles from Logic Systems for this Sunday’s Gavin DeGraw show. Those Logic guys have a cool thing going on. I love the friendly dogs hanging out around the warehouse. 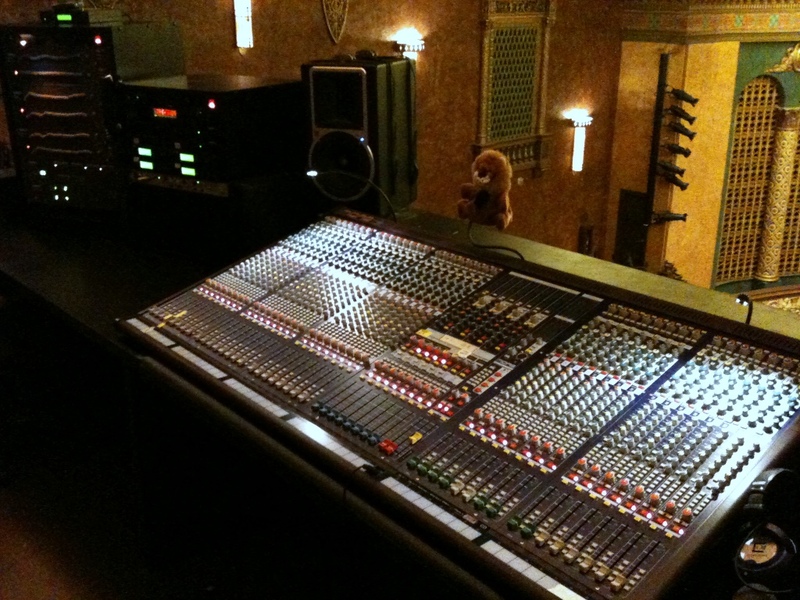 Anyhow, Gavin’s tour requires an Avid D-Show Profile at FOH and a Yamaha PM5D for monitors. As far as I can tell, there isn’t a D-Show Profile for rent in the state of Missouri, so we picked up the full-size Venue. Other than taking a huge amount of space at front of house, it should do quite nicely. 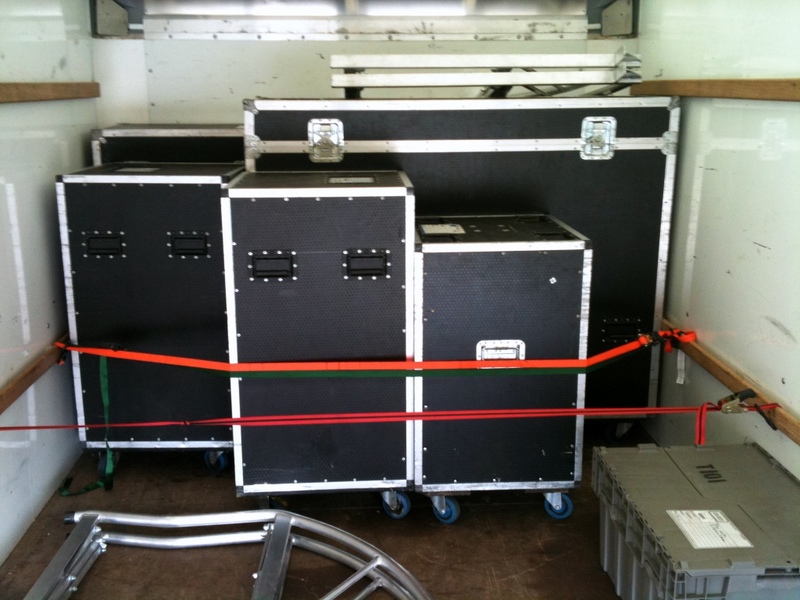 I love a good mysterious road-case picture.